We’re organization and storage experts, but there’s one group of people whose advice we’ll never ignore: our customers. We don’t believe in one-size-fits-all storage solutions, and neither should you. Your life and your home come to us with a unique set of challenges, and only you can help us make sure that our solutions will offer you the best possible wardrobe storage and organization under the sun. That’s why here at Contempo Closet we invite our customers to use our custom closet design options to create a wardrobe that works for them. Add drawers, add hang rods, add shelves, add whatever you like to make sure that our furniture can do the best possible job organizing your space. Take a look at our accessories page and see just how far we can go to create a piece that doesn’t just address your home storage issues, but resolves them once and for all. And we don’t stop there. Sure, we believe in a form follows function approach, but it’s still important to us that your custom closet still looks like a cohesive, built-in piece (even though it can remain entirely freestanding). 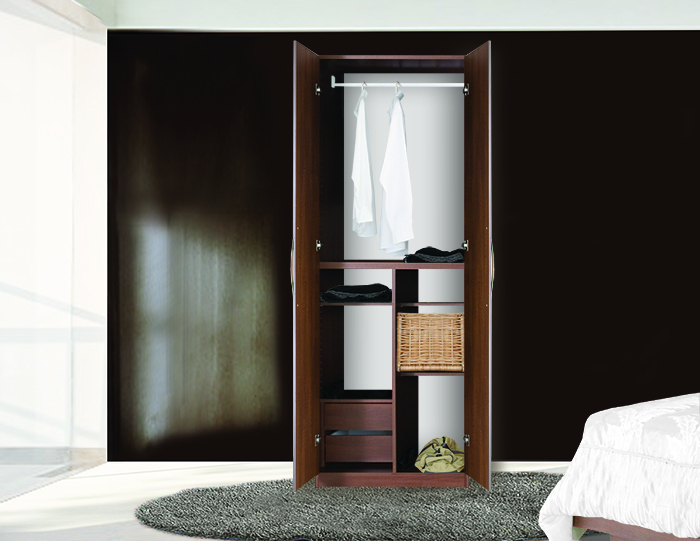 With a wide selection of finishes, including colored glass, mirror and wood finishes, handle options, and LED light solutions, Contempo Closet wardrobes organize your space with style. Handy Storage meets uncanny style. That’s Contempo. This entry was posted in Closet, Furniture, Home, Organization, Storage, Wardrobe and tagged accessories, custom closet, customer, design, modern furniture. Bookmark the permalink.